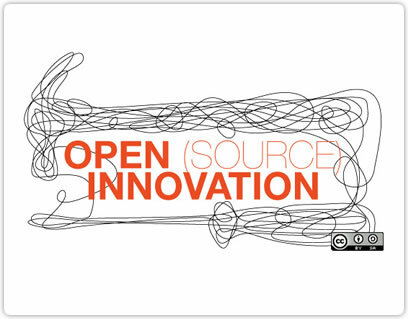 Open source is a term that describes open access to the source code. In general, open source software can be used, modified or copied by the users. Access to the code allows the user to understand how and why the software functions. This means that products can be easily improved and these improvements can be redistributed to others. An open source product is recognizable by the fact that it can be downloaded without charge, the source code is visible, the area of use is not restricted and the license does not place restrictions on other software. The license must also be approved by the Open Source Initiative (OSI.) In contrast to Public Domain Software and Freeware, open software must allow the derived versions to be distributed to third parties free of charge. You are interested in the services of clickworker? Here you find all solutions! Although initial open source models such as UNIX were established in the 1960s, the term is mainly linked to Eric S. Raymond and his paper “The Cathedral and the Bazaar.” Raymond presented his essay in 1997. He used the image of the construction of a cathedral as a synonym for standard software development. The main architect supervises a group of specialists who work according to building plans until the building is completed. Mistakes are corrected later on. In contrast the bazaar has numerous booths that are not subject to a superordinate hierarchy and offer their goods. What emerges is a self-organized group in which every individual can make a contribution. Mistakes are more rapidly found and can be solved with the help of several persons. According to Raymond, the bazaar model has proved to be more productive and effective. The cost factor is definitely the most important issue for companies. Expensive licenses can be economized with the corresponding software. Operating systems based on Linux in particular are becoming increasingly popular. Since it is almost impossible to earn money with free software, companies have specialized themselves on support, employee training and individual software solutions. Companies have financial benefits as well as more flexibility at their disposal because software can be quickly modified to meet the demands of specific projects then when they have to be newly written.